Nokia EOS/Lumia 1020 coming to the U.K.? Just because the Nokia EOS, which might end up being called the Nokia Lumia 1020, is being introduced in New York City it doesn't mean that a version of the phone isn't going to have a presence in Europe. A telecom industry source coughed up some information in a published report on Thursday, and apparently spilled the beans on a U.K. variant of the Nokia EOS. 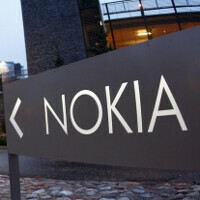 The EOS will offer the same 41MP camera sensor found on the Nokia 808 PureView. But that model came to market powered by Symbian, which is not exactly a thriving platform. The Nokia EOS/Lumia 1020 will be powered by Windows Phone 8 and will probably be an exclusive to AT&T in the states. In fact, similar to the Nokia Lumia 928 which is available only from Verizon, there is the possibility that the EOS will be exclusive to the U.S. and that a different variant of the phone is what will eventually be launched in the U.K.
Smartphone manufacturers have stepped up with the quality of the cameras available on their handsets. Besides the Nokia EOS, the Samsung Galaxy S4 Zoom offers a 16MP camera with a 10X optical zoom and Optical Image Stabilization. And Sony is expected to bring to market the first model in a series of camera-centric phones, with the rumored Sony i1 Honami. It's going to be called Lumia 909. PA, check your sources again (@evleaks). Because the 909 sounds more like an update to the 808 Pureview. Also they don't want to go into the 4-digit naming system, because they've done it before with their old devices prior to 2011 (5530, 3110, 5800 etc.). They will go into 4 digit number with quad core processor and hd screen. So was there supposed to have been a larger version of the EOS with a smaller camera but consisting of Aluminium build? Either way I'm pumped and can't wait to try this out. Hope it comes out in another colour besides black though, I'm aching for a yellow or red variant. I'm hoping for the green and cyan from other parts of the Nokia range. "The EOS will offer the same 41MP camera sensor found on the Nokia 808 PureView. " means no upgrade camera? even if what for upgrade sth what is years ahead of the competition?